October 2010. 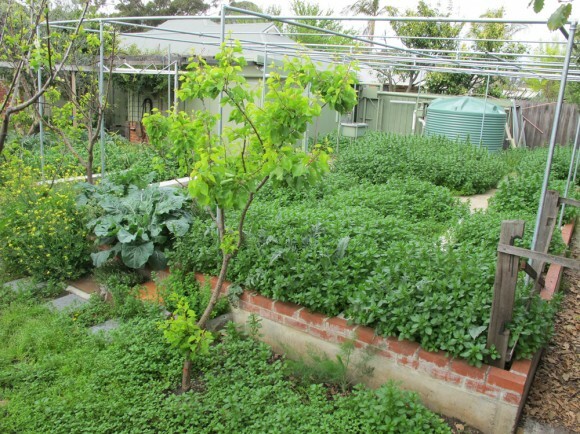 Melbourne’s substantial rainfall in September, together with the manure which has been applied in August, resulted in lash growth of stinging nettles. The tender tips have been harvested to make vegetable pies and the rest uprooted and stored on a pile for making compost. This entry was posted in Garden Diary 2010/11. Bookmark the permalink. Mark Dymiotis enjoys sharing tips, recipes and articles about his garden and how the traditional everyday dietary practices of Greece and the Mediterranean are essential for health, environment and social benefits. 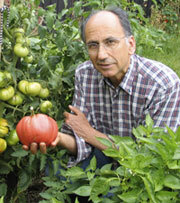 Look out for his posts here about his garden and his productive backyard courses.